it is possible to realize the idea of the customer. Since 1964 when we established our business, we have always pursued originality in our R&D and our electronic components. 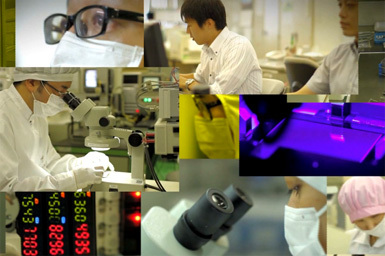 Our corporate culture of "no compromise" against the toughest challenges, our confidence built through continuous basic research, and our extensive experience in cultivating thin film expertise all make it possible for us to create truly original electronic components. This is why we have earned a superior reputation of trustworthiness in our products. We are honor that we can combine four key technology into one in high dimension. Also we are capable to integrate each technology organically by increasing each level of technology. In particular thin film generation technology, we surpass other competitor based on high level basic R&D investment. 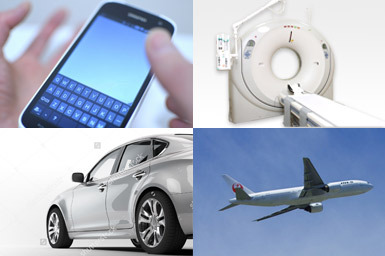 SUSUMU thin film technology supports the development of electronics and everyone's daily life. Because it is made of metal film extremely thin as 1/100 micrometer, it enables space saving and high density mounting. It is highly evaluated in wide range of industries such as automotive electrical equipment, industrial instrumentation, measurement equipment, industrial equipment and consumer electronics. It has also contributed significantly to labor-saving and high efficiency of energy. We will create a new market in all industries in the future. 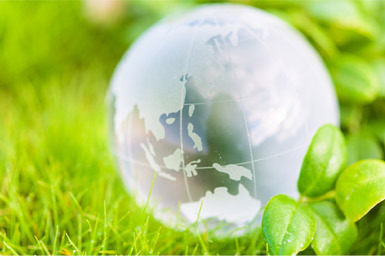 we will create a new future by thin-film technology. Thin film is a leading-edge technology to lead electric industry to a new era, is also a perfect product in terms of environmental protection. Currently we have sales offices in Japan, United States, China, Germany, Singapore, building a distributor network around the world, and production bases are located in Japan and China. Please expect a new future which will be created by thin-film technology.